As product manager for the new Teaching Jobs service, I need to ensure that the service my digital team is developing is based on demonstrated user needs. Since my last post, the service completed the alpha phase of development and went through an alpha assessment. For this, a cross-government panel judged whether the service could meet a pressing need for users. They decided that we're on the right track and gave a thumbs-up for the next stage of development. Our 14 week alpha finished in November 2017. 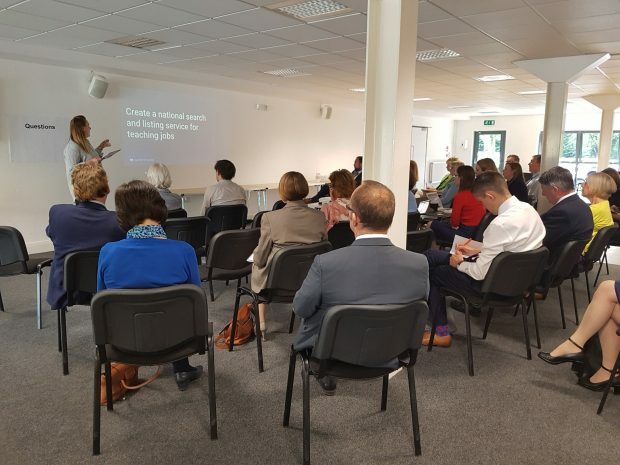 We went into it equipped with insights from our Discovery phase, when I met with Cambridge schools for exploratory sessions arranged by local MP Lucy Frazer, who’s been a driving force on the project. At the other end, just before our assessment, we tested our prototype designs with the Minister of State for School Standards, Nick Gibb. desk-based research exploring existing services on the market and working to better understand digital inclusion factors. The outputs from this research gave us a wealth of specific insights for both of our core user groups, including into how jobseekers currently look for roles, how hiring staff advertise vacancies, and what pain points both groups experience in their tasks. The research also helped us better identify the benefits Teaching Jobs could bring to both groups and the potential barriers to their using the service. Our alpha prototypes were not a working product, but proof-of-concept and design tested with users. We used what we learned to build a working private beta service: a simple search and listing service that we then add features to, continually testing and iterating with users. Ongoing research and testing has helped us tease out the more granular needs of users. This includes third parties publishing vacancy listings, with whom we held an engagement event and separate workshop to help map their service needs. We've used an agile approach to developing the product towards these goals. This allows us to try out and test evidence-based approaches, then make quick changes based on whether those are or aren't doing what our users need. For example, a school hiring manager tried to post a listing with a salary range but realised there was one field, which allows only a single salary. In this user’s experience (and, a little more research showed, many staff's experience) a range of salaries attracts more applicants. Our designers and developers quickly changed the single salary input field to 2 fields that allow for a range of salaries. Working in an agile way means you're always making small changes like this and then testing them with real users. This enables us to improve the product rapidly compared with traditional models of product development. Agile also allows us to continually assess whether the service is ready to scale up to a larger user base and whether it solves the problems it set out to fix. Meanwhile we're continuing to get a wealth of insight from both jobseekers and school hiring staff in the pilot areas in the North East and Cambridgeshire. The ongoing development and improvement of the service depends upon input from users like them. Once we're confident that the service is performing robustly we'll be making it available in more regions and to more users. We're learning lots and making good progress, but we need to get more schools and jobseekers using the service to drive its improvement. This is where you come in. 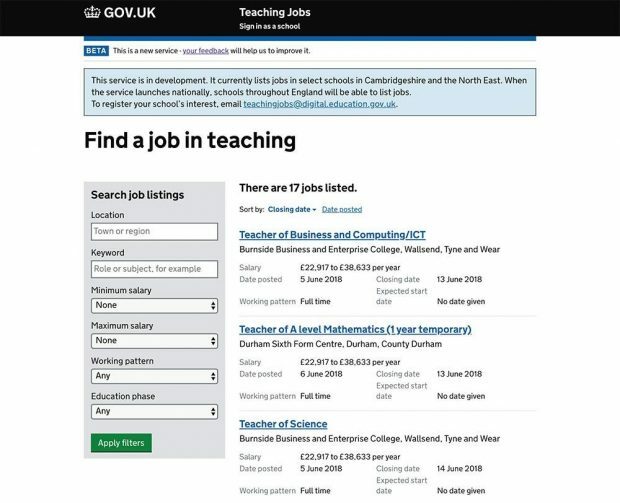 If you are school hiring staff with current job vacancies in Cambridgeshire or the North East but aren't already involved with the Teaching Jobs beta, get in touch with teachingjobs@digital.education.gov.uk (with a subject line "pilot area info") to learn how you can list your vacancies for free. If you're a teacher looking for a job or hiring staff at a school outside Cambridgeshire or the North East, please help shape the service by taking part in our user research and product testing. Email teachingjobs@digital.education.gov.uk (with a subject line "user research info"). 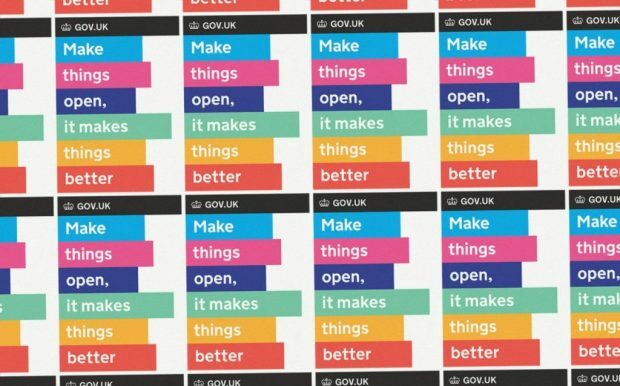 Make things open, it makes things better..
At DfE our digital teams strive to work in the open. As leader of a delivery team I strongly feel that it’s important to share our progress with you. We plan to do that by communicating more frequently with you, including through blog posts like this. Expect further updates from members of the team in the coming weeks. Thanks for sharing your story with us and congratulations on getting through the assessment with only a few points to address (there will always be some!). Great to see a concrete example of where user research and iteration led to better design. Best of luck with the rest of the project!